Use Lifefactory's "Everywhere Glass" in your house to brighten up your family’s dinner table. And, bring them outside to the patio and into the backyard. Just because you’re entertaining outside doesn’t mean you need to drink from plastic. This glassware is designed to handle the bumps of everyday life. The silicone sleeves provide protection and a non-slip grip. Simply put Lifefactory products look great, are made with safe non-toxic materials and function with exceptional utility. Their full line of reusable glass beverage bottles and glass baby bottles and accessories are safe and easy to use. 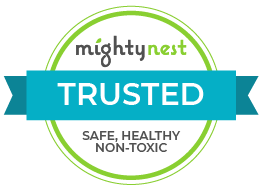 All products have been independently certified to be free of BPA, phthalates, PVC, polycarbonates, lead and latex.